SheCre8s, now in its fifth year, became a window of opportunity late in life, unfortunately. Getting back to physical creativity was a coping mechanism for me after losing my job in Human Resources at the age of 62 with 26 years of service with the same company. It was going to bridge the gap between jobs and keep me sane during a devastatingly stressful time. I started with stained glass, which I enjoyed after learning the process. 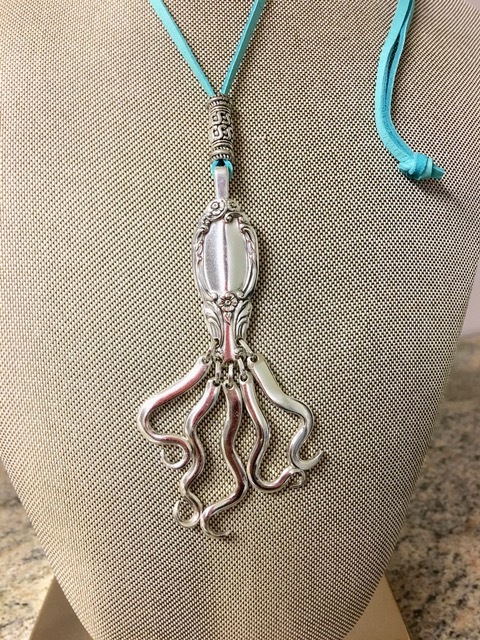 From there, I learned wire wrap and beaded jewelry and was quite pleased with my results. 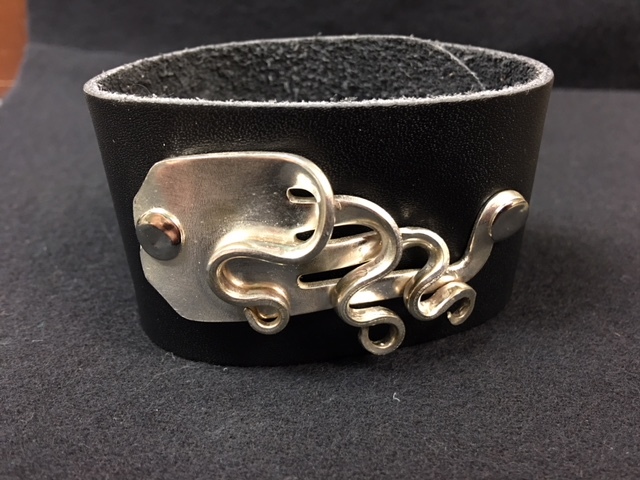 At a craft show, I saw a guy make a spoon ring right on site and was immediately hooked. Obsessed…six months of researching, trial, error after error, I finally was successful. I was much more creatively satisfied by turning something old, dirty, scratched, dented, and bent into something with beautiful new life. 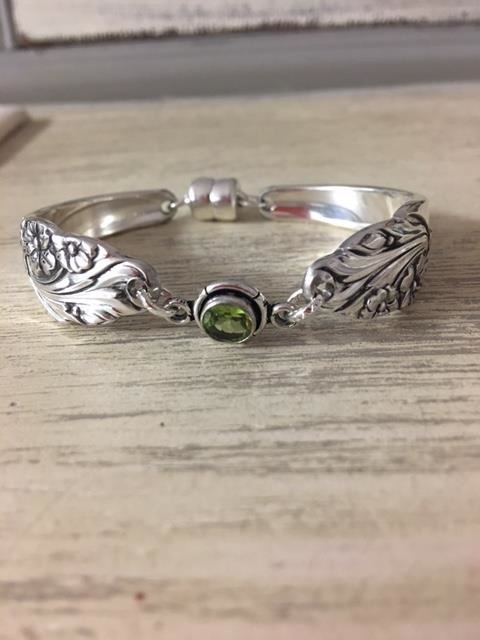 At our first local craft show, I was selling both my wire-wrapped, beaded jewelry as well as my silverware rings and bracelets and it become clear to me that my traditional jewelry was no different or better than any one else’s. We sold all of out silverware creations and that was the moment that SheCre8s was born and I knew I wanted to do this full time. Without retirement pensions, my husband and I agreed this made me happier, he would help and support me in the new journey. I continue to hone my craft, improving the final product. I listen to what my customers want and try to incorporate their wonderful ideas. 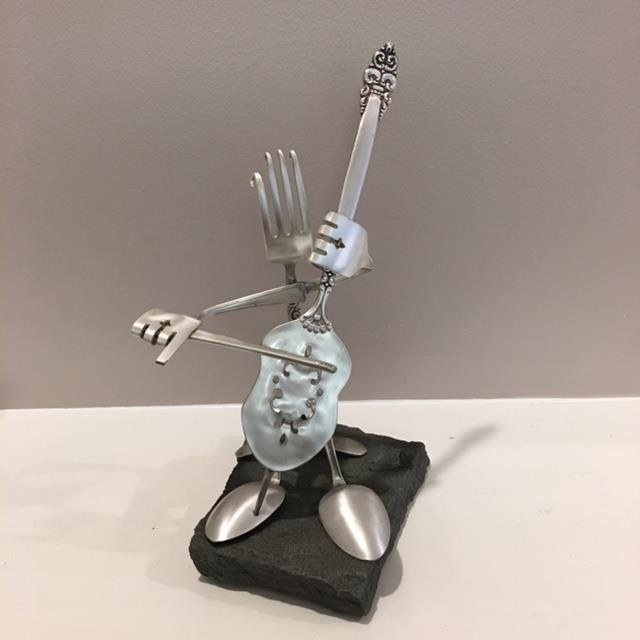 Even my husband, George, has learned that he has an unrealized gift for creating silverware sculptures and gets commissioned to create all kinds of wonderful musicians, sports figures, artists, cooks, and whatever else he can think up. I only wish I had taken the chance to “do what I love and love what I do” earlier in life. Born and raised three children in Philadelphia. Lived in Hatfield, Pennsylvania and now live with my daughter in Sewell, New Jersey where we have a wonderful workshop and studio.